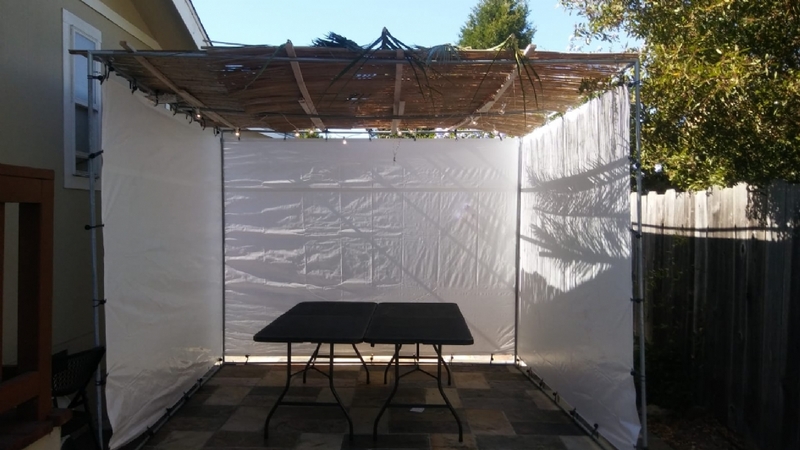 Full-service sukkah kit and installation! Whether you're short on time, or are not the DIY type, we have the solution for you. We provide everything you need, from A-Z, and even offer delivery and installation for a nominal fee. Please call Rabbi Yale: 650-667-9556 yspalter@gmail.com for a free site inspection or any questions. Click here for a How-To Sukkah Guide.